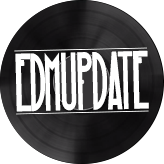 The annual Amsterdam Dance Event (ADE) – the yearly melting pot of the who’s who in today’s music industry – is where networking is done, deals are made and music genres are merged. Traditionally, the ADE night life agenda showcases a comprehensive diversity of events programming dance music across the board. 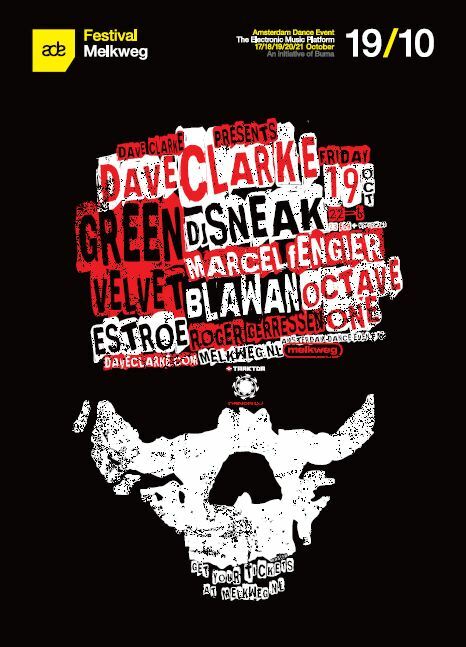 The techno genre and its sub genres are duly represented on Friday the 19th of October 2012 in the infamous Melkweg venue in Amsterdam, by one of the most influential flag bearers of techno globally: Dave Clarke. Aptly named The Baron of Techno, a moniker given to him by the renowned BBC Radio DJ / journalist John Peel, Clarke will host his Dave Clarke Presents showcase for the eighth consecutive year during this year’s ADE. With all seven previous editions being sold out, the Dave Clarke Presents night is marked on the techno buff’s ADE schedule as one of the absolute annual highlights. The Dave Clarke Presents legacy reached an ultimate high on the Tomorrowland festival on the 29th of June 2012 where Clarke hosted the second biggest (open air) stage. To get an impression, watch the Tomorrowland aftermovie featuring interviews with Derrick May, Green Velvet and Joseph Capriati here: http://youtu.be/5vtCjn2QMFg . 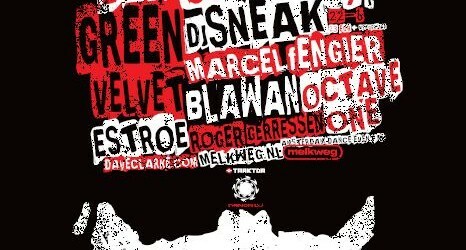 For the Dave Clarke Presents ADE showcase on Friday the 19th of October 2012 at Melkweg, the performing artists of choice are second-to-none. Next to showcase ringmaster Dave Clarke, the Melkweg venue will undergo performances by Chicago’s finest Green Velvet, one of house music’s true pioneers DJ Sneak, the Detroit collective Octave One, Berlin based Marcel Fengler, Dutch leading tech lady Estroe, Clone Records artist Blawan and Dutchman Roger Gerressen, who turned his spotlight on due to releases on Darko Esser’s imprint Wolfskuil Records. 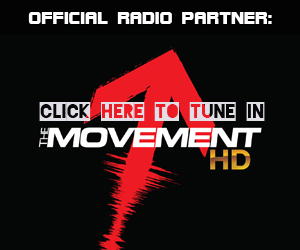 To top it off, Dave Clarke Presents will have a slot reserved for a special surprise appearance. The ADE doesn’t stop for the British craftsman with just throwing a prolific showcase. As the moderator of several ADE panels, Clarke will guide aspiring producers, collect demos during the traditional Demolition panel and share his thoughts and experience on how to find the right path in the ever changing dance music landscape. Also, Clarke will conduct an in-depth interview with eighties music icon, multi award winning producer and one of Clarke’s all time heroes Trevor Horn, in which Horn will give a presentation about his music production, past, present and future.